Alright, in a market economy like the US there should be a market for absolutely everything of "value". And some items bought and sold will be stranger than others. Once in a while the item will be really strange - like this one. 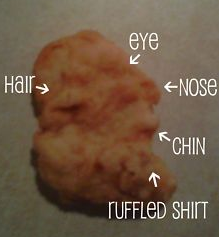 It's a three year old chicken McNugget with the likeness of President George Washington. Ebay: Approximately 3 years ago, I treated my children to “99 cent McNugget Tuesday” and play time at our local McDonald’s. 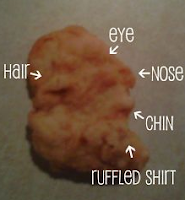 As I was cleaning up, I noticed one particular nugget and began to laugh. I picked it up for a closer look, and sure enough it was in the likeness of President George Washington. I decided to take it home and show my husband this hysterical find. And it could be all yours for over $200 - but the price is still rising.